There are a variety of reasons you may want to hire a private investigator. It could be because of suspicion of infidelity, or adultery. Or, because of a pending divorce. Regardless of why, how much will it cost? There are many factors when it comes to private investigator cost. As well as what you get for your money. Every investigation will tally up a different cost. And this is because there are several factors that can influence the price of a private investigator. Whether there will be any need for special equipment. How many investigators will be needed. To work with AMS Investigations you will be required to pay a $1500 retainer. This is to get the process started. The hourly rate charged by AMS is $80 an hour. There is also a $.65 a mile fee. If you require AMS to provide you with court testimony. Then a retainer of $500 per request must be made. This should be provided 48 hours before the time and date of the testimony. The average cost of an infidelity investigation runs between $1,000 and $2,000. And the typical investigation takes about a week. One of our clients called to use our services because she believed that her husband was having an affair. She believed that the affair was taking place just after typical working hours, and he was lying about working overtime. So, we decided the best course of action would be to surveil the spouse starting at his workplace. We had eyes on him over Wednesday, Thursday, and Friday, and only required a one-person team to complete this job. Over the first two days the husband did in fact work overtime and then went straight home after leaving work. However, on Friday evening he finished work early and drove to an address 25 minutes away. He arrived at a domestic residence, where he was greeted by a scantily dressed woman. He stayed for three and a half hours. Our client was provided with our findings, which included video evidence. Lots of people are looking to get an upper hand in their divorce proceeding. Because they suspect their spouse of infidelity or hiding assets and money. A private investigator can help you with your case. As well as identifying any relevant information that will help you get the settlement that you deserve. We can assist you in ensuring your Houston divorce investigation runs smoothly and provides you with all the information that you need regarding your soon to be ex-spouse. Whether you’re looking for an infidelity investigation, an adultery investigation, or you need help with a divorce case. AMS Investigations is standing by to help. Other services we offer include tracking down long-lost friends or family members. Including birth parents for those who were adopted. We also investigate suspected fraud, pre-marital investigations, child custody, surveillance, criminal and civil matters, GPS vehicle tracking, and more. It’s important that you’re honest and upfront with us from the start. We require accurate information from you, as this will give us our best chance at success. Additionally, if there are any changes in circumstances during the investigation, you should make us aware of this. 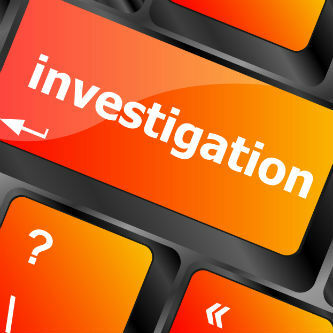 Please allow us to investigate using our methods, do not attempt to interfere with the services that we perform. We may require documentation for me as part of our fact finding. We appreciate your cooperation in providing us with the relevant documentation. It’s important that we have the correct current contact information for you. This includes your email address, telephone number, and mailing address. This provides us with a contact for you, in case we need to get a hold of you immediately during the investigation. Under no circumstances should you use the results of the investigation for illegal or criminal purposes. In most cases, our clients are proven right in following their gut instinct. It’s important that you understand we work hard to keep your case confidential. Your spouse will not know they are being investigated, and when we provide you with our findings we will do so in the most confidential way possible. We only give the findings of our investigations to the client themselves, with their permission, or to follow a court order. If you are need of more information about private investigator cost, please contact us so that we can discuss your case and get started.